Know what you own. 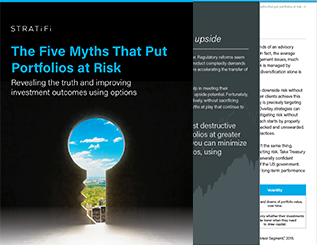 Manage risk to maximize returns. For many financial advisors, email marketing is an effective way to communicate with their target market. Advisors favor email because, once it’s set up, it is easy to manage – simply Define a campaign, create content, send it out, measure results, refine list and then rinse and repeat. However, if your email campaigns lacks the key elements that are needed to make it highly effective, you could be wasting resources. Many advisors view email marketing as a numbers game – send out a certain number of emails on a certain date and hope for the best deliverability and engagement rate without regard for the quality or relevance of the content. Considering that the primary reason most people open an email is to receive something of value, generic, one-size-fits-all content almost ensures it ends up in the trash or spam folder. This user-first mindset is particularly useful to target new generations of investors, like millennials. If the purpose of your email marketing campaign is to increase engagement with your prospects and clients, the content needs to be timely, relevant and high quality. Advisors who incorporate marketing automation with their email marketing program are able to learn who is engaging with them, what topics interest them and then develop relevant content that is likely to be consumed. Email marketing can’t be very effective if it is done without permission. Buying a list and blasting emails without the permission of recipients can put you in the crosshairs of anti-spam regulations and email service providers who can hurt your domain reputation. It can also be a complete waste of resources. When it comes to effective email marketing, more is not better. Instead, you should develop and cultivate a willing audience from your target market who opt to receive your email communications. These might be visitors to your website who request information, people you meet, or social media contacts. They will know why they are receiving your emails, so they are more likely to open and read them. It does take a little longer to build a list, but it will be high quality with substantially higher open and click rates. You know how you react when you receive a generic email that has been blasted out to thousands of people. So why would you subject your target market to the same treatment? Your top prospects or clients should not receive the same content you send to someone who is new to your sales funnel. While it’s not reasonable to provide personalized content with each email, you content must be relevant based on the recipient’s interests and their position in your funnel. With lists segmented by interests and position in the funnel, your email marketing software can automatically tag the appropriate content to be sent at the appropriate times. That will improve your open and click rate. Many companies in the wealth management industry tend to focus strictly on “vanity metrics,” such as the open rate, which is fine, but it tells you very little about how well your email marketing is working. While it’s good to know that someone opened your email, you know what happened next. Did the recipient click on a link or visit your website? What did she do when she went there? Is she continuing to engage your emails, social media or website? That’s the critical information that allows you to keep your lead engaged and moving down the funnel. With marketing automation software, your email marketing becomes more interactive with your leads and more proactive in tracking them across all your digital channels. More importantly, it can help you predict which ones are more likely to become prospects so you can better focus your sales efforts. Advisors thrive on leads. Whether they’re generated from a website, an 800 number or an email response, each one represents the possibility of a sale at the end of the funnel. But, often, the information collected along with the leads leaves advisors in the dark as to who they are calling and why. As a result, advisors spend valuable time pursuing questionable leads. However, when marketing automation software is used to track each lead’s engagement and behavior through the multiple activities (i.e., links followed, website page visits, time spent, information downloaded, social media interaction, etc. ), data becomes available that can score a lead based on that person’s level of engagement. You can then prioritize leads based on their readiness to be contacted and tailor their approach to the interests and motivations of the lead, turning what otherwise would be a cold call into a much warmer call. Adding analytical tools such as marketing automation does increase your marketing costs; however, you can expect your return on investment to far exceed what you are now spending on lead generation and business development. If you’re going to expend the resources on email marketing, you may as well do it with the purpose of achieving maximum results. 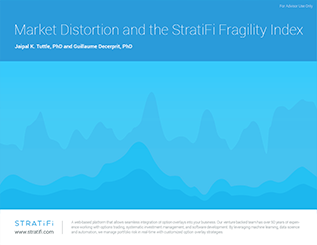 Building the industry standard for understanding portfolio risk through cutting-edge technology at StratiFi. Sign up to receive expert tips and guidance on making smarter investment decisions that will help you advance your practice. © 2018 StratiFi Technologies Inc.